Each family and individual have their own concerns about the estate planning process, but many of these issues can be addressed by putting together appropriate trust provisions and funding the trusts with necessary assets. 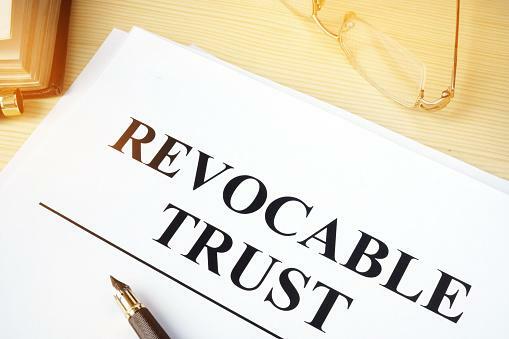 A revocable trust is but one of many tools available to craft a comprehensive estate plan, and there are many different strategies and tools available that can be discussed with you during your consultation with your estate planning lawyer. A single revocable trust might not be enough to cover all of your concerns. For example, those with a large volume of wealth could be exposed to risks due to failure of asset protection planning. One of the most common questions presented to estate planning attorneys has to do with what happens to a revocable trust when the grantor passes away. The trust remains active indefinitely to carry out the wishes of the grantor. The trust should also establish successor trustees if the grantor was the original trustee, such that someone is able to step in and take on this important role if and when the grantor passes away. At the point of the grantor’s death, the entire nature of the trust changes and the trust becomes irrevocable, then dictating the distribution scheme that could continue well into the future for named beneficiaries. If you’re curious about the process of establishing a revocable trust, schedule a consultation today with an estate planning lawyer who can help you to structure a trust with your best interests in mind.